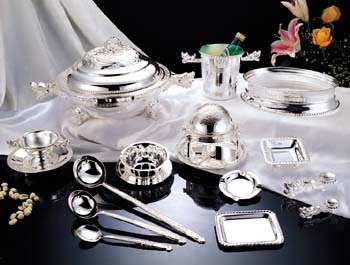 LIN KONG KEE SILVER WARES FACTORY LIMITED was founded in 1950 and has a history more than 50 years. 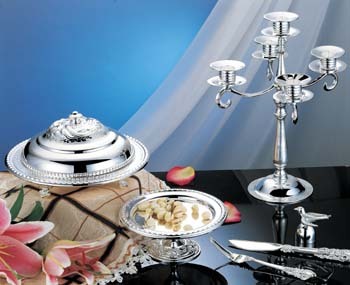 It's Hong Kong's best-equipped manufactory for making silver & gold tablewares,and our own brand is named LKK. 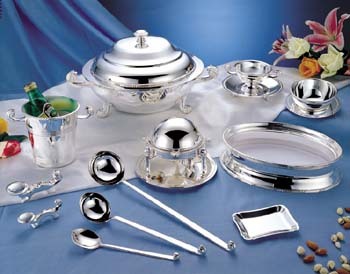 The manufacture of silverware requires a professional technology. We are the only one in Hong Kong that has mastered such special technology. A slice of unsightly bronze plate is turned into glittering and exquisite silver handicrafts through the process of crafing,polishing,welding and then silver plating by means put under extremely rigorous quality control to attain the acme of perfection. We are keenly aware of the importance of raw materials to the quality in our production.Therefore,all materials are selected carefully.Copper plates are imported from Japan,pure silver ingots for electro-plating are from Switzerland,argentic salt and other chemicals are from Germany.Furthermore,to ensure the higher quality of our production,we have used computerized inspection equipments to measure the thickness of the silver coating accurately. Since we use the most stringent technical process, our customers are very confidence in our production,and we have occupied 70 percent of total output in the same market. 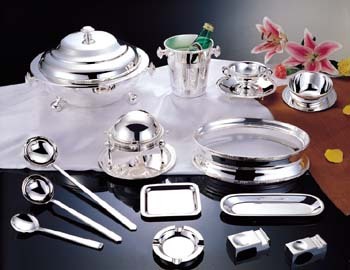 Our production are not only sold at the local market,also exported to China,Japan,Southeast Asia,and even to Europe and United States etc.According to our president,Mr.Lam Pui Kei,who agreed that there is a substantial demand for chinese silver Wares in overseas. 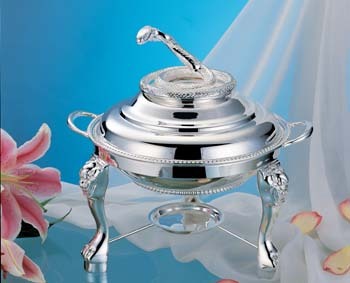 In order to attain the world's highest standard in making silverware in the Chinese style,the factory has constantly added new equipments and has successully integrated western silver plating methodswith traditional crafts-man-ship of China so that silver handicrafts rich with Chinese Traditional colour can have a ready market in other parts of Asia and the world and that the industry of silverware in the Chinese Style will be further developed.